You guys already know I’m a sucker for studs and leather, and these Louboutin studded slip ons are calling my name!!! I really love the current trend of combining luxury with sport influences. Is it possible to have too many pairs of slip ons? I already own 2 pair and I’m drooling over these!! This entry was posted in Accessorizing, fashion, Instantaneous Obsession!, Shoes, Shopping and tagged Christian Louboutin Pik Boat Slip Ons, Instantaneous Obsession, thelookbookphilosophy.com on April 8, 2014 by thelookbookphilosophy. Yep. Totally LOOOVIN’ these chunky heeled sandals from Proenza Schouler’s Spring ’14 line. I adore the softly curved lines of the heel, the cleanness of the wood, the stacked platform and the texture of the leathers that were chosen. I love the “retro” nod to the Hurache’s of my youth. Though I never actually owned a pair of Hurache’s (nor did I desire to at the time) this modern day take on an old classic definitely gets my vote. Adding a wooden platform to this style puts it front and center for Spring 2014. The wooden platform reminds me of the kind of wood used in minimalist Swedish interiors, it automoatically gives the shoe a modern vibe. Yep. Not much else to say about these except GET. IN. MY. CLOSET . . . NOW!!!! This entry was posted in Instantaneous Obsession!, Shoes and tagged platforms, Proenza Schouler, sandals, Spring 2014 on January 31, 2014 by thelookbookphilosophy. Proenza Schouler color block cloqué midi skirt $1050 here. I am so in love with this color-block pleated skirt from Proenza Schouler. It totally quenches my thirst for high contrast style. The accordion pleating is guaranteed to create waves when you walk and the clean lines really make it modern. Love this skirt!! This entry was posted in fashion, Instantaneous Obsession!, Style on January 10, 2014 by thelookbookphilosophy. Sophia Webster Leilou Stripe leather, suede and canvas sandal $595 here. Ok, so Sophia Webster is quickly becoming one of my fav shoe designers!! I know we are in the throws of winter, but I couldn’t pass up sharing this beautiful graphic conglomeration of bold orange, pink, black and white patterns. It takes serious skill to mesh stripes, chevron and tassels, and this shoe just knocks it out the box!!! I LOVE THIS SHOE!!!!! –Santa, can you hear me??? This entry was posted in fashion, Instantaneous Obsession!, Shoes, Shopping, Style, Stylespriation and tagged sandals, Sophia Webster on December 19, 2013 by thelookbookphilosophy. Jimmy Choo Leopard-print calf hair and nappa leather ankle boots $1,495 here. This entry was posted in Instantaneous Obsession!, Shoes, Shopping, Style and tagged shoes on October 10, 2013 by thelookbookphilosophy. Just arrived in my closet. I am in love. This entry was posted in Accessorizing, fashion, Instantaneous Obsession!, Shoes, Shopping and tagged leopard, Steve Madden on October 8, 2013 by thelookbookphilosophy. Instantaneous Obsession: Jil Sander Nicaso Tote . . . Yessss! This entry was posted in Handbags, Instantaneous Obsession! and tagged Handbags, Jil Sander Nicaso Tote on April 24, 2013 by thelookbookphilosophy. Instantaneous Obsession: Alexander McQueen Lace-up Snake Sandals . . .OMG!!!! I think my toes just screamed. This entry was posted in Accessorizing, fashion, Instantaneous Obsession!, Shoes, Shopping, Style and tagged Alexander McQueen Lace Up Snake Sandals, red, strappy sandals, velvet bow on October 10, 2012 by thelookbookphilosophy. I am in LOVE . LOVE. LOVE. w/ this ring!!! 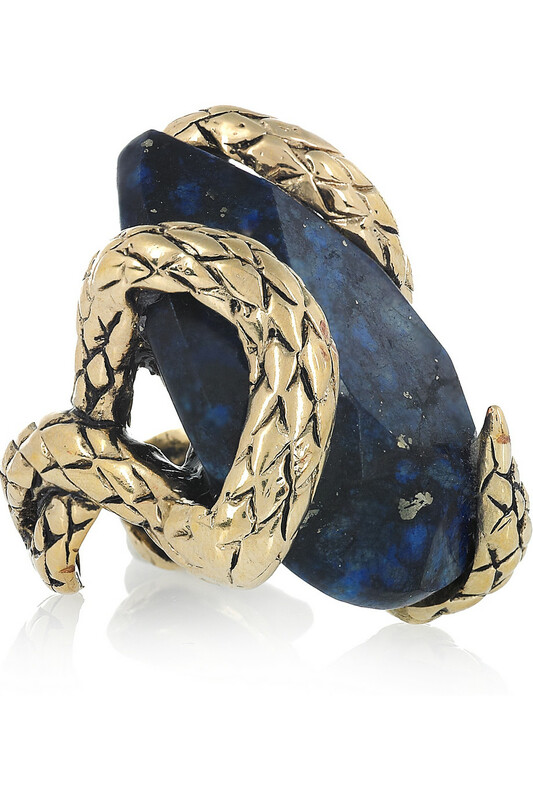 The gold snake and the moody blue stone make it just edgy enough for a girl like me! My finger is aching for this!!!! 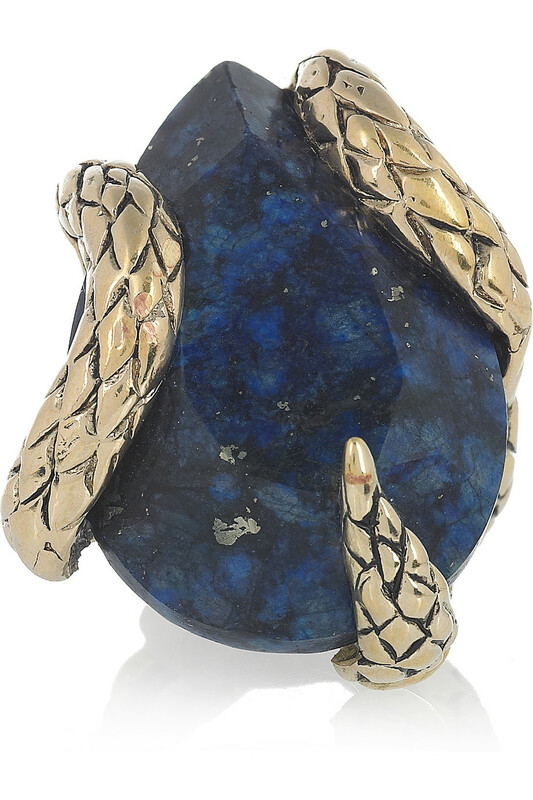 This entry was posted in Accessorizing, fashion, Instantaneous Obsession!, Jewelry, Style and tagged fashion, Gold, gold plate, lapis lazuli, Roberto Cavalli, snake, style on July 5, 2012 by thelookbookphilosophy.